by Jim Bastian. 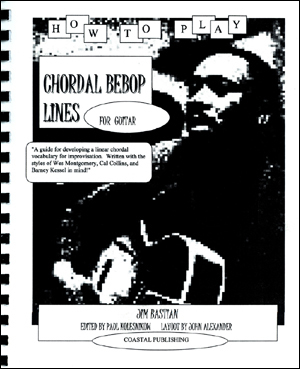 A collection of prearranged improvisations, written in chordal fashion for guitar. 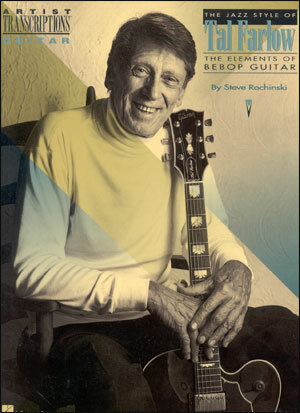 The book contains Wes-style chorded solos for the following tunes: Ceora, Days of Wine and Roses, Dexter's Textures (G Blues), Confirmation, and Bb Rhythm Changes. You do not have to be able to read music to navigate this book....all chord voicings are written above the melody line in diagram form. 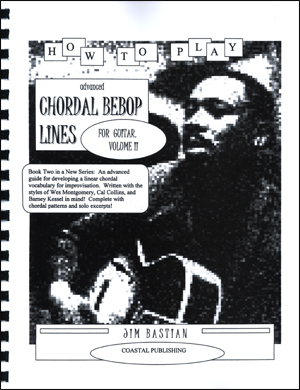 This is not a traditional book of 'chord solos' to be played by a solitary guitarist, but is rather a collection of 'chorded solos' intended for combo format.....the difference is understood by examining a typical Wes Montgomery solo, and the introduction explains the book this way: "Within a trio or quartet format, a typical Wes Montgomery solo often escalates in interest from single lines, to octaves, to chordal lines. 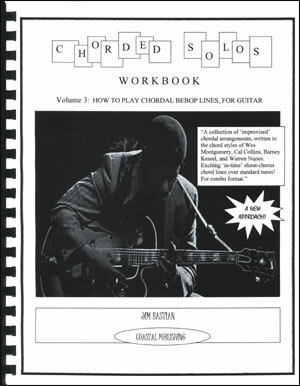 The arrangements found in 'Chorded Solos Workbook' are written in the harmonic language of that improvised chordal style. Each of the solos all of which occupy one or more choruses - might be thought of as 'shout chorus' improvisations that could come at the end of an improvised solo. This collection of arrangements is exemplary of how a vocabulary of chordal patterns can be linked together over active chord progressions, in a manner that puts forth a strong melodic composition. The solos in this volume are illustrations of that advanced technique. The solos are written over standard tunes, and a fake sheet of the basic chord progression precedes each solo. 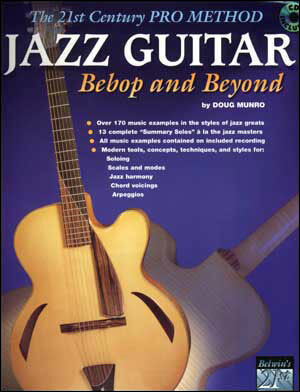 This allows a comparison of the basic chord changes of each tune to the written solos, as a means of understanding how the chordal phrases are employed, and to see how they connect changing tonal centers." 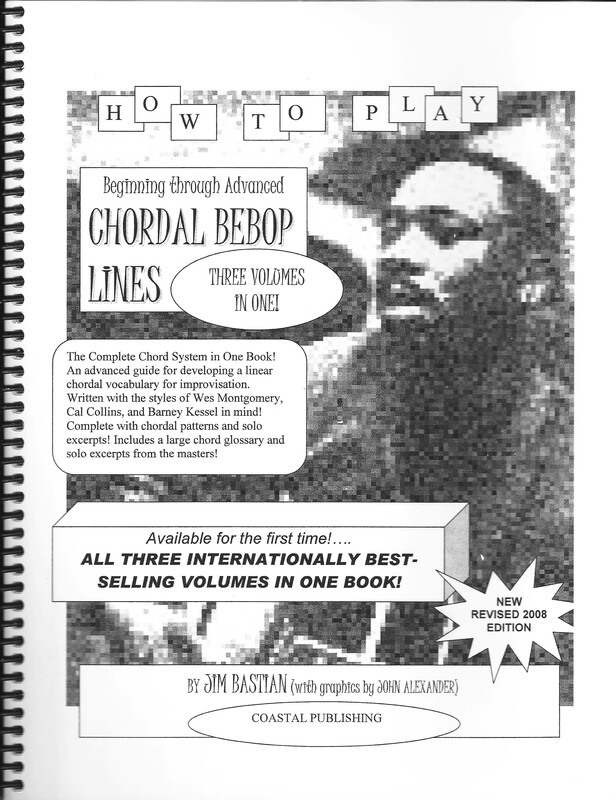 This is a great resource by itself or works well in conjunction with Volumes 1 and 2 of 'Chordal Bebop Lines'. 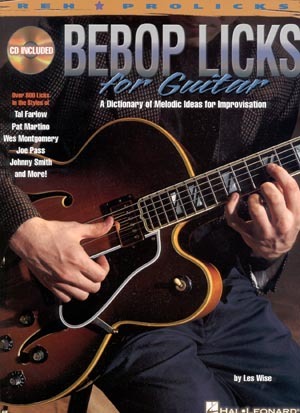 A must have for intermediate to advanced players that are interested in developing a Wes-style chordal vocabulary. See related items below for Volumes 1 and 2. 3-volume set also available at a discount.